The charming hamlet of Sommerhausen, Germany has a wall, towers, a castle and many very old houses nestled between steep slopes covered with vineyards and the Main River. The town is also home to the man who established Germantown, Pennsylvania. 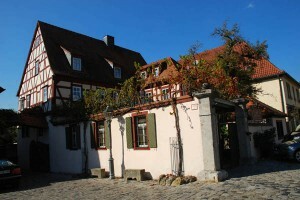 In 1683, a group of Mennonites, Pietists, and Quakers – like Abraham Isacks op den Graeff – in Frankfurt approached Pastorius about acting as their agent to purchase land in Pennsylvania for a settlement. 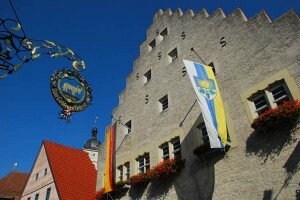 Pastorius took passage to Philadelphia. He established Germantown on land purchased from William Penn. He lived there until his death. 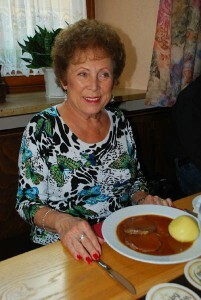 Marlene Rokicki enjoys sauerbraten in the Gasthaus zum Ochsen, Sommerhausen. 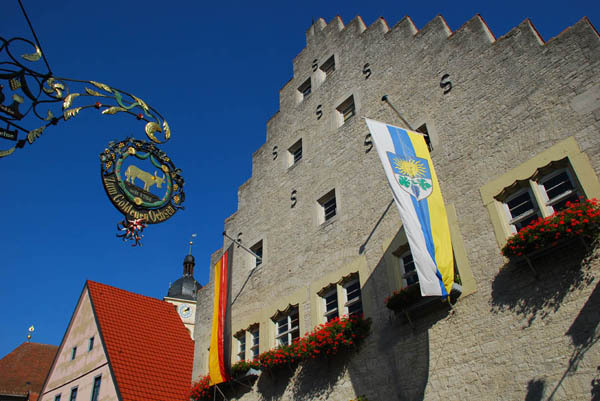 Enjoy German history and your own connections to the past on a family history tour! For details contact us today. 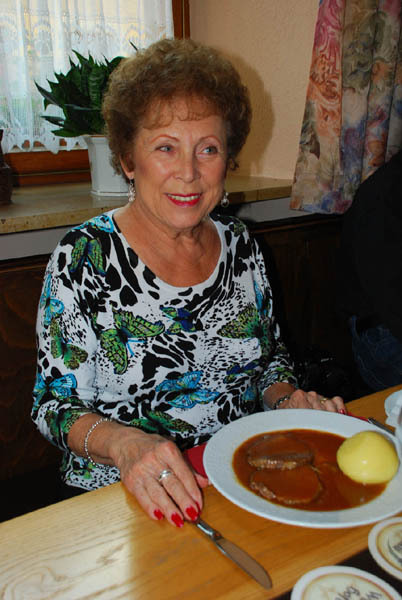 Posted in Family History Tours, Germany Tours and tagged germantown, pastorius, sommerhausen.